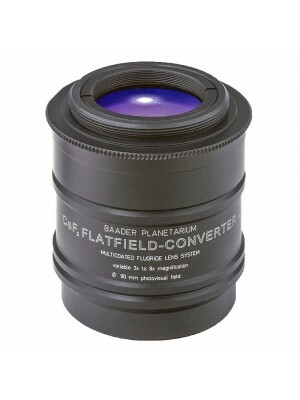 Baader T2/50,8mm photographic adapter has an inner thread to connect 2" filters in front. On the telescope side there's a barrel with safety groove, on the camera side it has a T2 external thread. Effective optical length is only 2.5mm.